Have you given much thought to your wedding cake? Chances are you’ve left it to the last minute and lumped it in your reception décor to-do list. Are we right? Don’t worry; you’re not the only one. 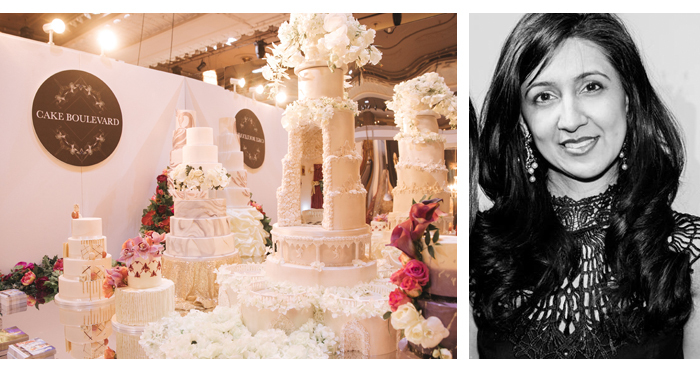 With more than 10 years experience crafting seriously chic confections, head of Cake Boulevard (Cake Designer of the Year 2018) Kiran knows a thing or two about designing, making and presenting truly epic wedding cakes. She reveals the five things every couple should consider before their consultation. The inspiration for your cake comes from your décor, so when you book a cake consultation bring colour swatches, mood boards, floral ideas and any other design elements that could help my team design your dream cake. The cake will be part of your décor, and guests will notice it instantly so it’s crucial it co-ordinates with your overall look. 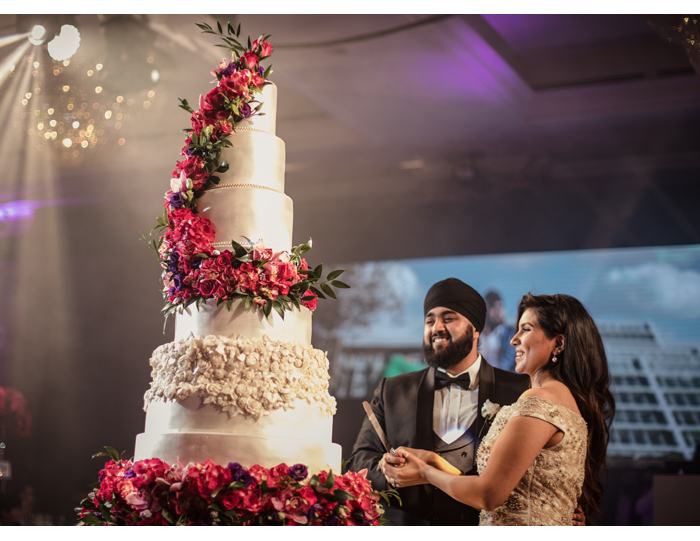 Fresh flowers always soften the look of a cake and tie in well if you have floral arrangements elsewhere around your venue. 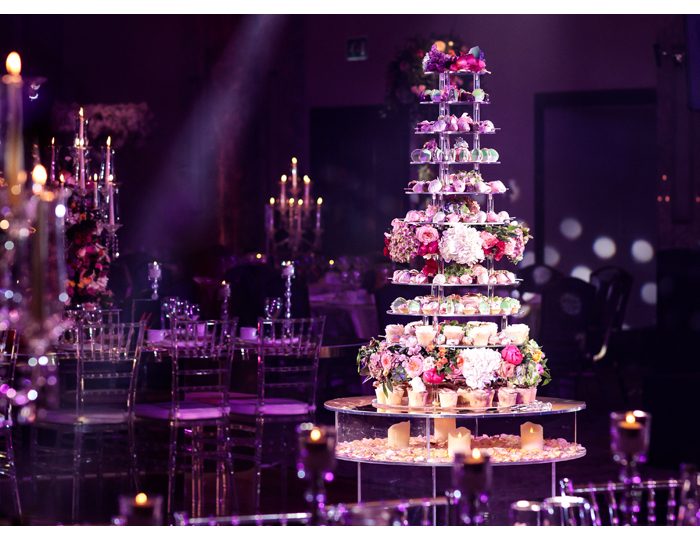 A floral-heavy base structure will add inches to your cake to give you much more of a statement-looking piece. Social media is a superb source of inspiration, but it will rarely show your ideal cake – because we haven’t made it yet! Save images of cakes or elements of a cake that appeal to you. Even if they appear contradictory, it all serves to show me your sense of style that will help me create your bespoke bake. Your guest list is another important factor. Consider how many guests you have attending (another reason to chase those RSVPs!) and account a minimum of one finger slice per person. They don’t have to be the same flavour either. Mix things up with our mouthwatering combos, such as the wildly popular Ferrero Rocher, Red Velvet, Salted Caramel or Lemoncello. 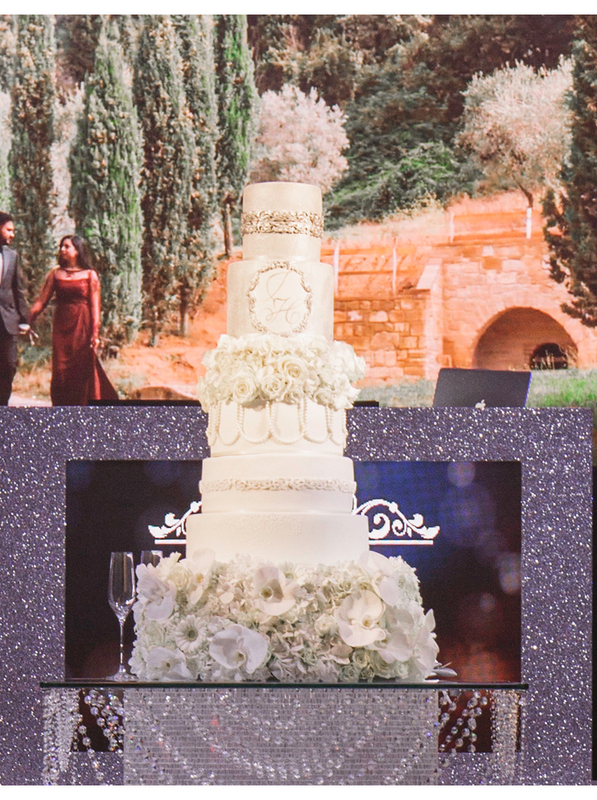 There’s nothing more jarring than a beautiful wedding let down by an ill-fitting cake, due to lack of budgeting, or the fact it was an eleventh hour addition. 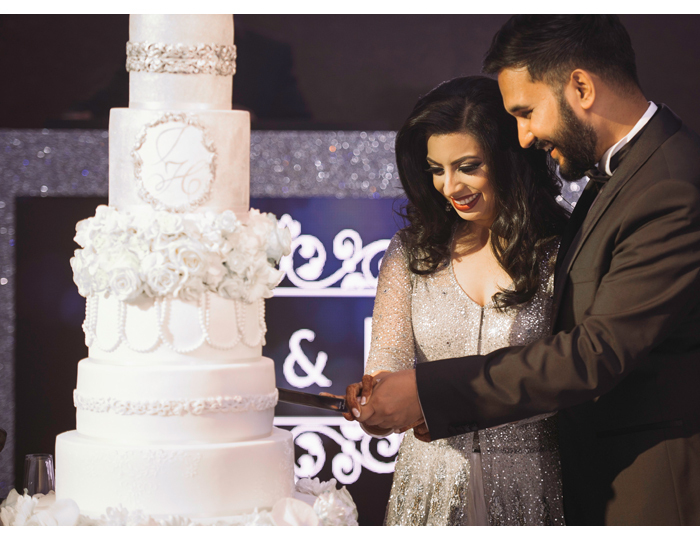 Slice off 5% of your total wedding fund for the cake to ensure you have a design that fits your special day.